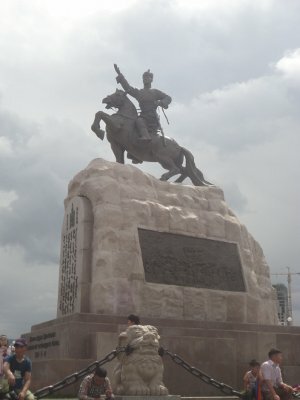 Recently the Ulaanbaatar city council voted to rename Sukhbaatar Square to Chinggis Square. This came as a surprise for many in the city because there was no formal public debate about the proposed change leading up to the vote. The decision may have been quiet and swift, but it sparked a raucous public debate nevertheless. Strong opinions about whether the change was justified exploded in newspapers, television programs, and social media. The proponents of the change seemed to base their argument on historical aesthetic. To paraphrase the argument, Chinggis Khaan is the founder of the Mongol Nation, and he is celebrated with a monument complex in front of the parliament building. Having the square in front of that complex named after a 20th century person sends the wrong message about when the nation came into being. 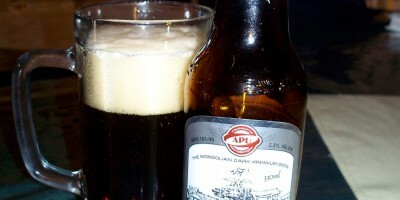 Opponents of the change generally argued from a point of respect towards Sukhbaatar’s contribution to Mongolia’s present independence and deference towards 90 years of tradition. But, there was also just a sense that the city council overstepped its authority by not consulting the population on this issue before making such a controversial decision. To make matters worse, the general sense I have gotten from the commentary is that the city council is on the wrong side of public opinion on this issue. I have great respect for Mongolian tradition and history, and Chinggis Khaan is a national hero with international stature well worth celebrating. But, it strikes me as unfortunate that there isn’t a strong social movement towards celebrating more diversity among national heroes. Granted, Chinggis Khaan was publicly portrayed as a villain during the Socialist Period, but the excesses of that period shouldn’t justify the current excess of pushing other national heroes to the periphery. For those still harboring resentment over the excesses of the Socialist Period, though, it probably doesn’t help that the MPRP used 20th century heroes like Sukhbaatar as mascots during and after that period more for political purposes than national unity. But, it seems hardly Sukhbaatar’s fault his image was co-opted posthumously to serve a controversial ideological purpose. However his image may have been used or abused after his death, I believe most people would agree he is a person worth naming a square after. He was an instrumental part of wresting Mongolia from the Chinese sphere of influence, paving the way for the country’s eventual full independence as a democratic nation in the 1990s. Moreover, he died under mysterious circumstances at a very young age at a time when many leaders in the country began dying of mysterious and sometimes not so mysterious causes. He quite literally gave his life for his country. First the name. How long before the statue is next? There are many other prominent heroes, too. Natsagdorj, Dazanravjaa, Zanabazar, to name some obvious ones. To promote gender diversity we might include Sukhbaatar’s wife Yanjmaa who is the second woman in history to be elected a head of state, among many other significant accomplishments during her life.1 Of course, deciding who deserves to be recognized as a national hero creates its own controversies, but surely that is a better debate to have than one over how many more things can be named after Chinggis Khaan. 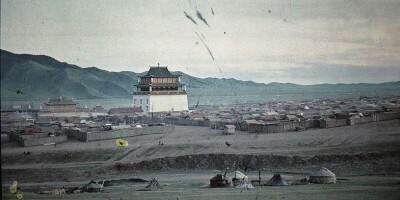 Mongolia is much more than Chinggis Khaan, and yet this march towards homogeneity in national history and identity reinforces the idea ever so subtly that all of Mongolia’s greatness peaked in the 13th century. After all, if Sukhbaatar does not qualify for having the main square in the city he was born in and eventually liberated named after him, then what hope does anyone have their contributions will be recognized and celebrated by the nation? The standard seems to be, “Conquer the world, then we’ll talk.” It’s unfortunate, because this country has produced many people worth celebrating since 1227. Heroes of the 13th century should be able to mingle freely with heroes of other centuries in the public space, because they are all Mongolians who contributed to the nation as it is today. 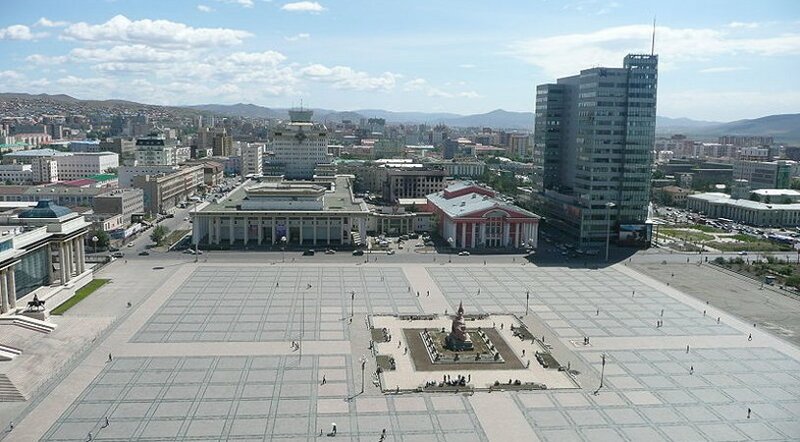 There is a petition set up by Mogi at CoverMongolia for those who would like to see Sukhbaatar Square keep its name. It is here. For now the vote to change the name is more symbolic than real, because the city council cannot force people to call the square something they don’t want to call it. Yet, it still stinks, and I definitely don’t agree with it. Instead, here’s to supporting diversity among national heroes. 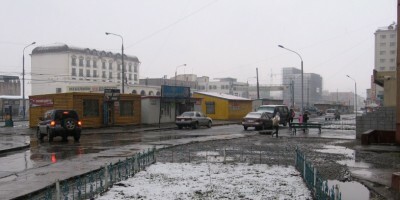 Keep Sukhbaatar Square as Sukhbaatar Square. 1. See a list of elected female heads of state here: https://en.wikipedia.org/wiki/List_of_elected_or_appointed_female_heads_of_state.